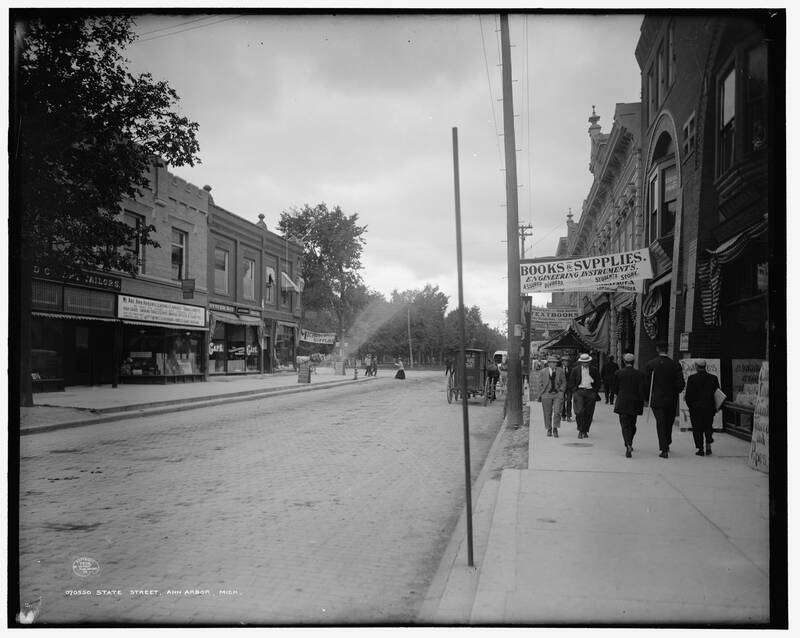 State Street, Ann Arbor, Michigan, 1908.
mk please go take a comparison shot. I could go take one after work, but I don't know the city that well. What intersection would this be close to? 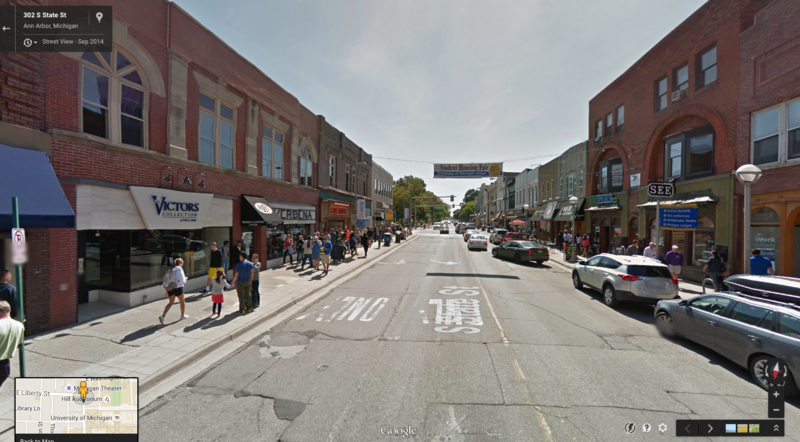 Roughly near State St. & E Liberty St. It would appear that several of the buildings are basically the same, but have lost some of the decorative elements.